Prices Shown Include Buyer's Premium. This lot is closed. Bidding is not allowed. 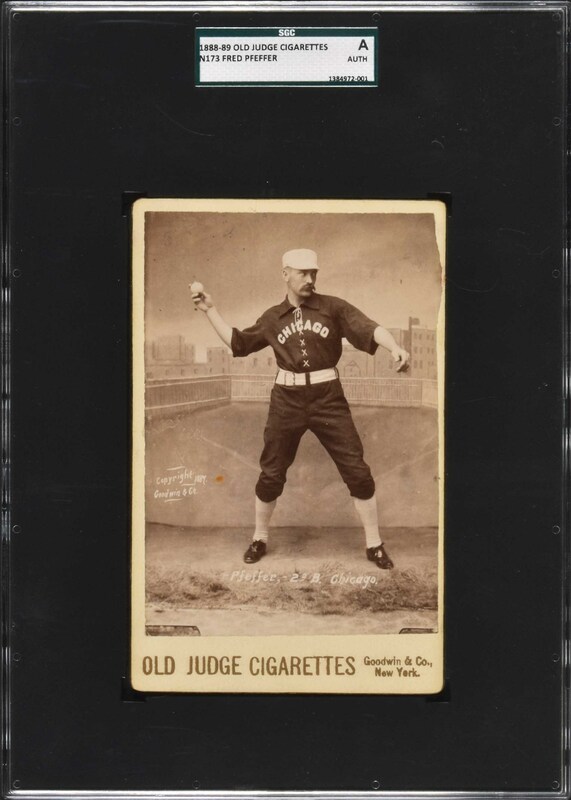 Presented is an extremely attractive 1887 N173 Old Judge cabinet card of Fred Pfeffer with Chicago, posed (#366-3) in front of an elaborate stadium background. Stunning example, with flawless contrast and tremendous detail. Extraordinarily bold and crisp. No creases or wrinkles. Encapsulated as "Authentic" by SGC, there is a slight miscut of the photo on the upper right border. It appears that the photo was not properly cut at the studio when the cabinet was originally being assembled. 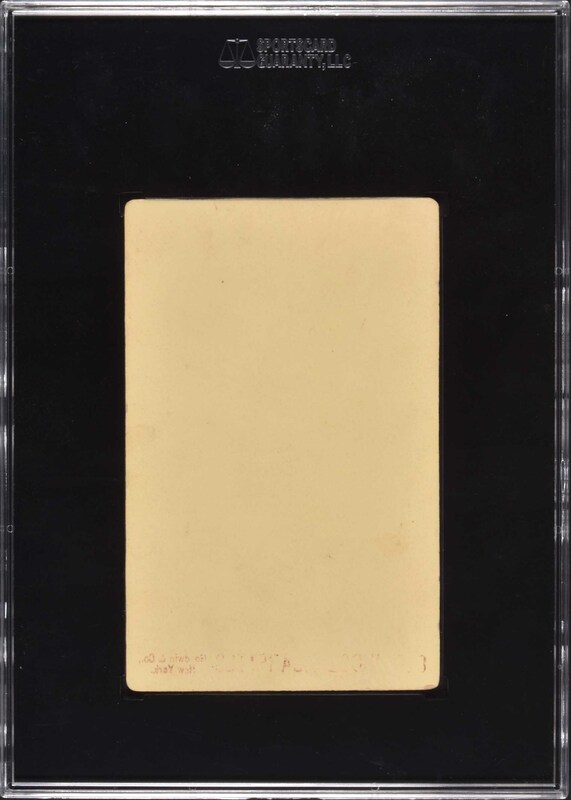 The blank reverse is perfectly clean with evidence of a wet-sheet transfer mark of the Old Judge advertisement along the bottom. This is an outstanding sample from one of the most revered and substantial of all nineteenth-century baseball-card issues. Reserve $300. Estimate $500+.